Are you struggling to homeschool and finding you need to work on rhythm? Would you like more peaceful bedtimes for your children and yourself? If you pause and pay attention, you'll notice that all around you there is rhythm, the rhythm of night and day, the rhythm of your menstrual cycle, the rhythm of the waxing and waning of the moon, the rhythm of the sun's movement, the rhythm of heartbeat, of breath, of growing through phases of life, of starting and ending. Rhythm embraces us. It's like a big warm familiar hug. Before electricity, electric lights and central heating were available with the flip of a switch, people lived in rhythm with nature. We slept at night and worked in the light of the day. We chopped wood, carried water and kindled fires.The stars guided travelers. Food was only available in season. We lived in the rhythms of the natural world, deeply connected and carried along through the year without conscious attention. Early people deeply felt the earth's rhythms through the day and all through the year and celebrated significant turnings in the wheel of the year. The return of the sun meant life was renewed in the earth. The sun's departure signaled a time for pilling in, going inward.Today, we can flip a switch and experience light and heat. We no longer live in the rhythms of nature. We have disconnected. 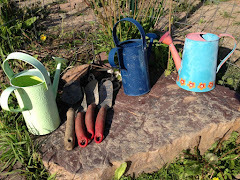 We are plugged in and no longer attuned to the rhythms of nature. Our own inner rhythms can be overwhelmed by the distractions that come from the busyness and noise of daily life. Yet we are rhythmic beings. When we find our way into a rhythm that flows for ourselves and our families, we find harmony, peace of mind, inspiration for new endeavors and time to take up activities that deeply nourish our families and ourselves as parents. We can bring rhythm into our lives with conscious intention. We can tap into the energy that flows when our rhythm is balanced. Children thrive when their life is rhythmic. It is so healthy and nourishing for children. Rhythm makes children feel confident that life is predicable, that adults are reliable and in knowing they can rely on order and harmony in their lives. 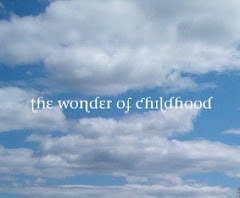 With predictable days, children relax and can let go and be children. A solid rhythm can eliminate frustration, increase a child's ability to play and to make transitions. Rhythm helps us breathe when we are frustrated and can carry us through times that are chaotic and unpredictable. :: Gift yourself and your family with a strong rhythm to your days and weeks for the new year by simplifying your life through a strong rhythm. :: Imagine pleasant mealtimes, smooth transitions, peace filled bedtimes and breathing time in your day. Yes, it can be done. By you. :: Know this. It is already there, within you. The ability. Everything you need to bring some sense of rhythm, harmony and joy to your daily life with children. This course is designed to help you access that inner wisdom and put it into action with daily notes of encouragement and reminders, videos, worksheets and activities, conversation and community. You'll explore what rhythm looks like and feels like and look at sample rhythms of the day and the week. You'll delve into what gets in the way of the rhythm you want. You'll practice how you can make your rhythm breathe for you and help you flow through the day. You'll examine how rhythm can help your child be more imaginative, playful and creative. 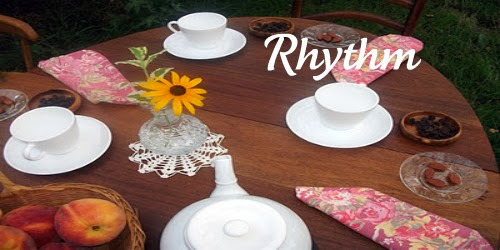 You' ll work on how your meals can be healthier and more pleasant with rhythm. You'll be supported to practice routines for peaceful bedtimes and restful sleep. You'll work on incorporating a rhythm for housework. You'll practice using rhythm to make transitions smoother. You'll experience how a strong rhythm supports homeschooling if you're a homeschooler. You'll experience how a strong rhythm makes home a sanctuary for the school child. You'll work on establishing and maintaining a rhythm that supports your life. You'll discover rhythms you already have and build on them over four weeks. You'll explore and experience how rhythm supports daily life with children and helps you carve out time for yourself. You'll become more able to recognize the difference between breathing in and breathing out qualities of experiences. You'll receive daily reminders and enthusiastic support. You'll have the option to download and print the exercises or do them online. You'll find templates for sketching out your rhythm, and explore the difference between writing it down, and living it from within. At the end of the course, you'll be invited into a private Facebook community. You'll always have access to the course and the materials. You can return at any time. Start each day with a healthy home rhythm! Is this also for parents with bigger kids? Say ages 8 and up? Yes, it's designed to help you craft and maintain rhythms and routines that help you be more present in all aspects of life and especially in parenting.